Vitamin C was discovered in 1912, isolated in 1928, and first made in 1933. It is on the World Health Organization's List of Essential Medicines, the most effective and safe medicines needed in a health system. Vitamin C is available as a generic medication and over the counter. The wholesale cost in the developing world is about 0.19 to 0.54 USD per month. 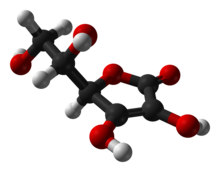 In some countries ascorbic acid may be added to foods such as breakfast cereal. Although rare in modern times, scurvy and its associated destabilization of collagen, connective tissue, and bone can be prevented by adequate vitamin C intake.